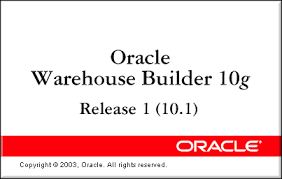 1) Mention what is oracle warehouse builder? Oracle warehouse builder is an ETL tool produced by Oracle that provides a graphical environment to create, maintain and manage data integration process in business intelligence systems. 2) Mention what are the new features of oracle OWE-EE 11gR2? 3) Mention what are the enhancements made in OWB 11gR2? 4) Mention what are the important components of Oracle warehouse builder? 5) Mention what is the general steps for importing Metadata from sources? 6) Mention what are the types of locations you can deploy data in OWB? 7) Explain how you can design objects in the project in OWB (Oracle Warehouse Builder)? Within a warehouse builder workspace, PROJECTS are the largest storage object. You have to include all the objects in a project that you think you can or will share information. This definition includes data objects, mappings and transformation operations. 8) How can you delete a project in OWB? 9) Mention what are the meta-data security strategies in OWB? 10) In oracle data-base what does target schema consist of? 11) Mention how connectors work in OWB? A connector is a logical link formed by a mapping between the target location and a source location. The connector between schemas in two distinct oracle databases is executed as a database link, and the connector between a schema and an operating system directory is executed as a database directory. You don’t need to create connectors manually if your user ID has the credential for creating these database objects. OWB will make them automatically, the first time you deploy the mapping. 12) Explain what is modules in OWB? Modules are grouping activity or mechanism in the project explorer that corresponds to locations in the connection explorer. A single location can address to one or more modules. However, a given module can relate to only a single location at a time. 13) Explain how you can import Meta-data form flat files? To import meta-data from flat files, you have to create locations that reference directories in which source data is stored. Number of locations depend upon the number of drives and directories that have flat files stored in it. Now, in the project explorer, right click the files node and choose NEW to create a new module. Repeat this for each of the directories having flat files. Now for each of the modules created, select import. A wizard poinyd you on how to import one or more files into each module. 14) Mention what are the types of activities does OWB includes? 15) Mention what is the role of Match-Merge Operator in OWB? The match-merger operator in OWB allows you to identify matching records and merge them into a single record. Thus eliminating duplicate records from the data. 16) Explain how debugging of mapping can be done in OWB? Once you have determined the test data connections for each of the data operators, you can initialize the debug code by selecting re-initialize from the debug menu or by selecting the Re-initialize button on the tool-bar. 0 on: "Top 20 oracle warehouse builder Interview Questions For Freshers.."